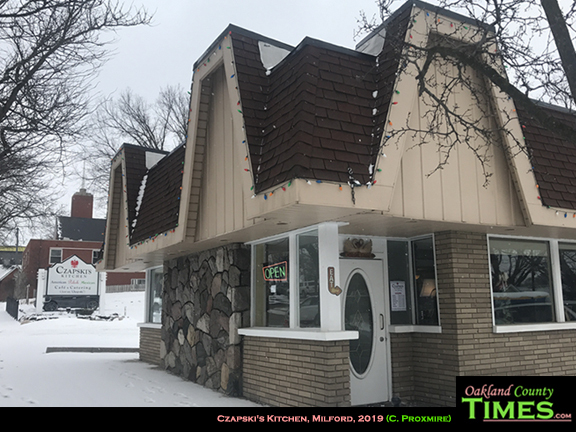 That’s how you say the name of the adorable Polish/Mexican restaurant in Downtown Milford called Czapski’s. 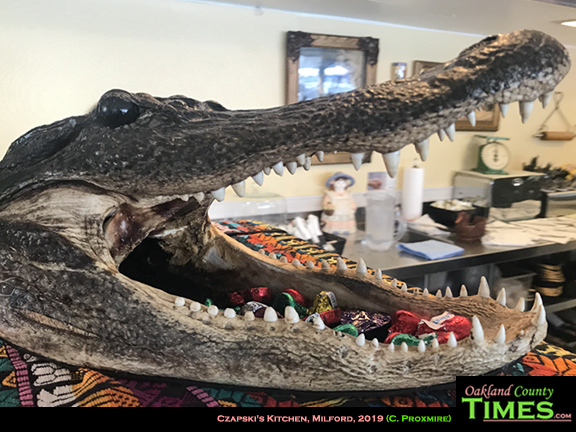 This friendly restaurant with ample parking, home-cooked meals, and an alligator head for a candy dish was recently my pit stop for lunch. 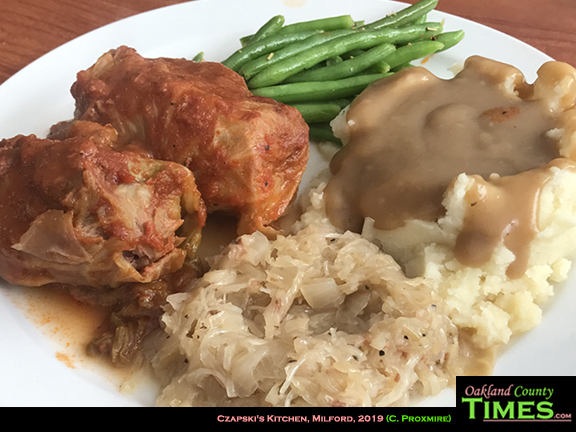 There were many traditional Polish items on the menu like pierogi, city chicken, meatballs with gravy, and kielbasa & kraut. 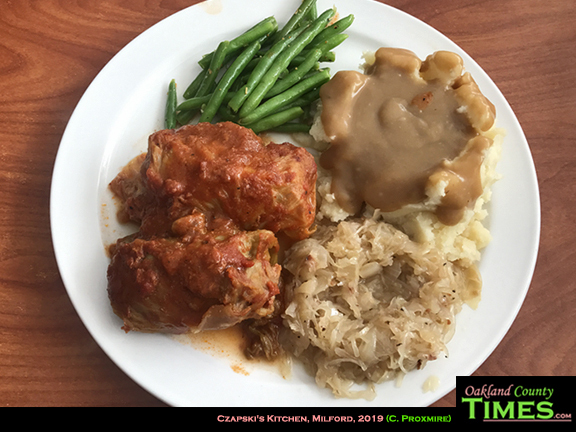 I decided on the Guampky, which is stuffed cabbage that came served with mashed potatoes and gravy, fresh green beans, and kapusta (sauerkraut). To be honest, I am in love. This is exactly how I love to eat on cold winter’s day. Everything was well-prepared, filling, and delicious and I look forward to coming back. 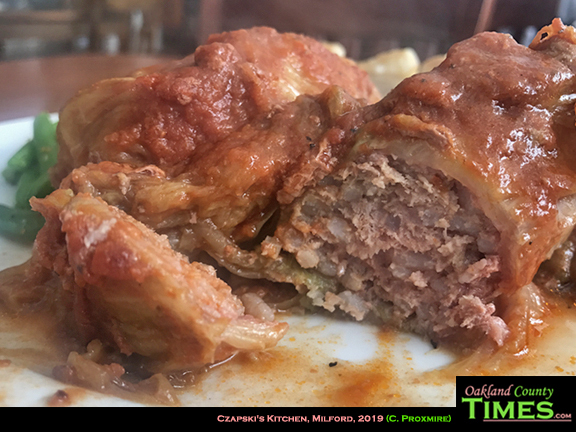 In addition to the Polish food, Czapki’s has Mexican items like burritos, tacos, and botanas. Plus there are American items like a fried bologna sandwich, sloppy joes and egg salad. 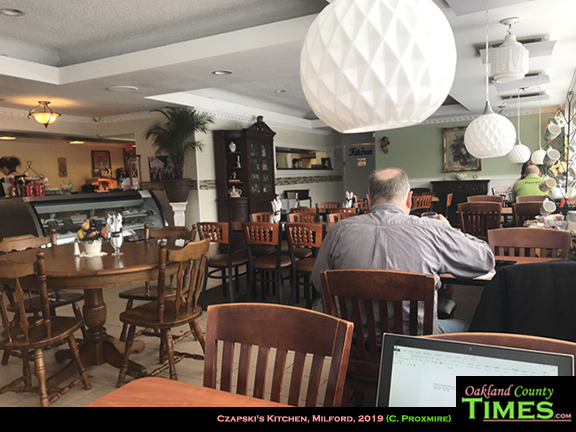 Czapki’s is located at 210 N Main St in Downtown Milford. Check them out online at https://czapskicatering.com.